Discovering art in gallery spaces, gaining insight into the contexts of its production, and meeting artists—with 51 galleries showing some 65 exhibitions, Gallery Weekend Berlin makes for an exquisite art experience. The list of participating galleries reflects the city’s multifaceted art scene, which has undergone tremendous development from the vacuum of the 1990s to a vibrant and established scene. 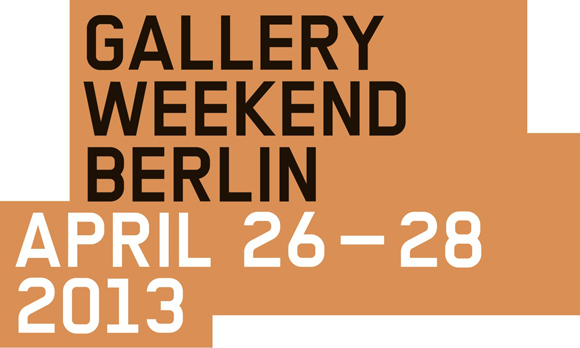 Gallery Weekend Berlin focuses explicitly on the gallery space as a quasi-condensed version of the art world; as the singular place where art making and the art market, as well as exhibiting and viewing art, coexist closely together. Galerie Eigen+Art — Carsten Nicolai / Jürgen Mayer H.
Galerie Barbara Thumm — Anna K.E.